TRIPLE THREAT® represents the next level in wind and thermal current direction detection and attraction! 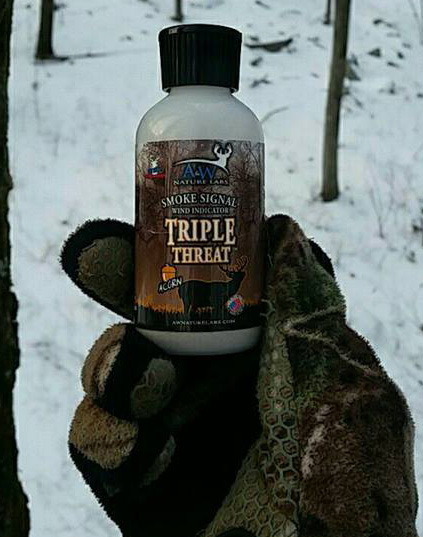 Why call it, TRIPLE THREAT®? That's easy! Ultra-light dry powder that exits the container and continues to rise, not fall! Powerful scent for attraction or cover! Intense flavor to kick up a bait pile or blast on vegetation! 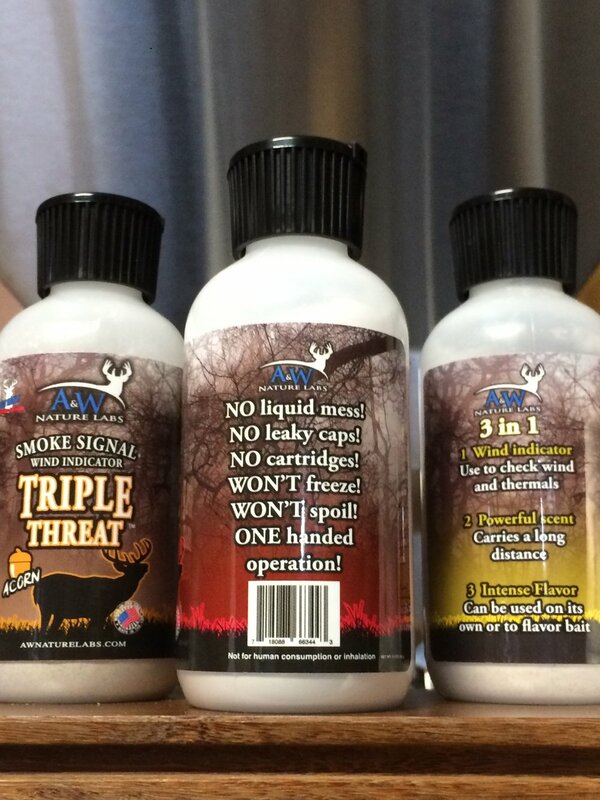 TRIPLE THREAT® is the best option if you are tired of the constant battle with the same old messy scents AND are looking for the best wind indicator on the market!